Mystery and thriller publisher Le French Book is running deep discounts on thrillers and mysteries set in France especially for entertaining Bastille Day reading. Paris, France, elsewhere... with suspense, action, and local color. 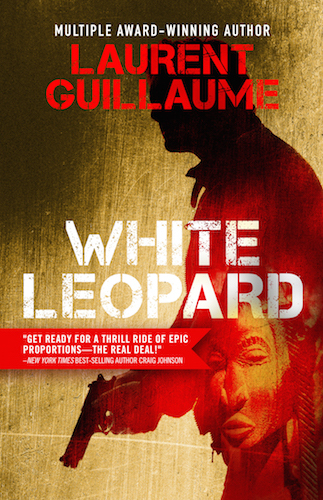 Mystery and thriller publisher Le French Book (http://www.lefrenchbook.com) is celebrating Bastille Day with deep discounts on a number of titles that transport readers to France. The publishing house, specialized in translating genre fiction, has selected some novels set in France for a Bastille Day sale, offering excusions for all types of readers. 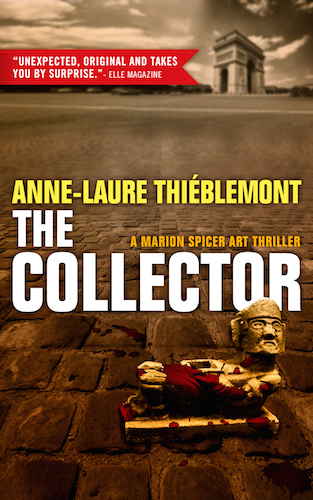 The Collector by Anne-Laure Thièblemont, a captivating dive into the little-known world of Paris art specialists and counterfeiters. After a father she never knew died, Marion Spicer finds herself facing the merciless microcosm of Paris art auctions and galleries, with its sharks, schemes, fences, traps, scams and attacks—a world where people will kill for a love of beauty. 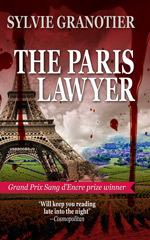 The Paris Lawyer by Sylvie Granotier, psychological suspense in the French capital. An ambitious rookie lawyer in Paris catches a case that sparks a determined search for the truth in her own life. Paris, the French capital, the City of Light, and perfect setting for crime, and an actual character in Frédérique Molay’s award-winning Paris Homicide series. 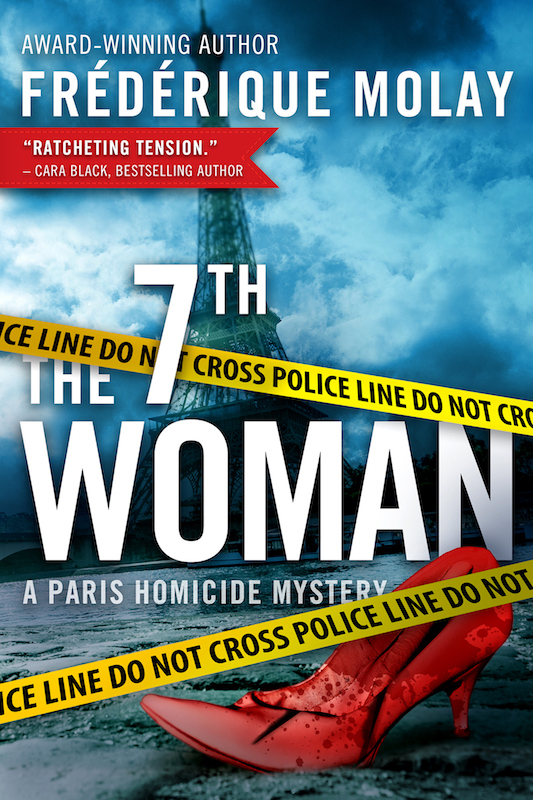 The 7th Woman launches the series and gives the city a whole new dimension, with “ratcheting tension” and suspense. Terror stalks Paris. Will the team of elite crime fighters prevail? 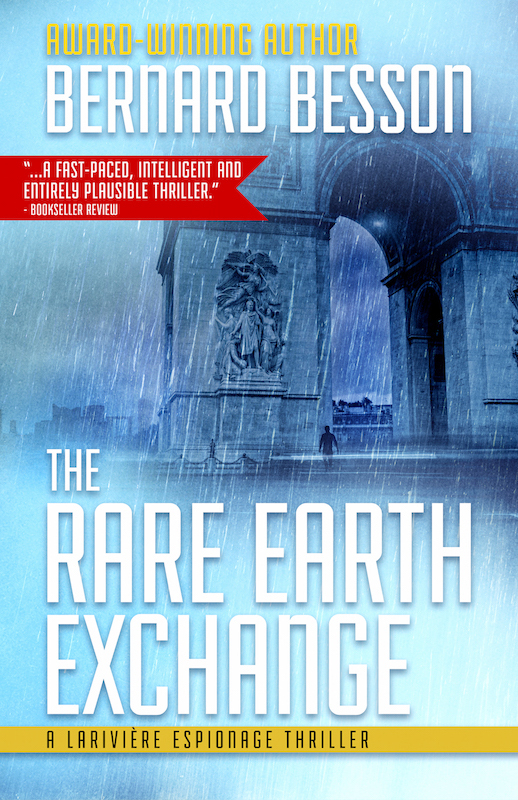 The Rare Earth Exchange by Bernard Besson, a chilling financial espionage novel and an unsettling look at a post-Panama Papers world. A team of freelance operatives get caught up in a web of corruption and cyberterrorism in a struggle to control rare minerals key to today’s technology. "As subtle as a chess game, and as explosive as today's headlines." Jean-Pierre Alaux and Noël Balen’s Winemaker Detective series is a celebration of France combining enticing mysteries, mouthwatering accounts of food and wine along with authentic descriptions of French countryside. A vacation with quirky characters and winetasting, British-like mysteries with a French flair. 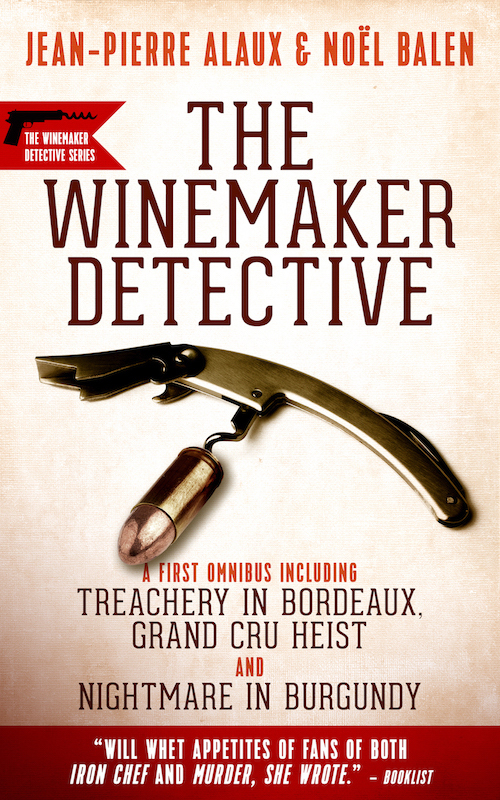 The Winemaker Detective: An Omnibus is a fine introduction to this series, with three titles in one. Late Harvest Havoc. Disaster strikes the vineyards in Alsace. Vintners are tense and old grudges surface. The Winemaker Detective's reputation is on the line as he must find the cause before the late harvest starts. Tainted Tokay. The Winemaker Detective encounters deceit and deception in Old World Europe. Discover this series free. Download free mystery. 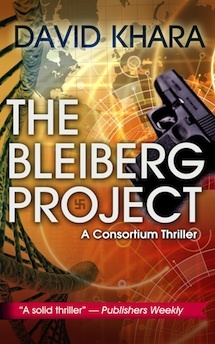 The Consortium thriller series by David Khara offers a roller-coaster ride that dips into the history of World War II, then races through a modern-day loop-to-loop of action and humor. What impact could the folly of World War II—death camps, medical manipulation and chemical warfare—still have today? 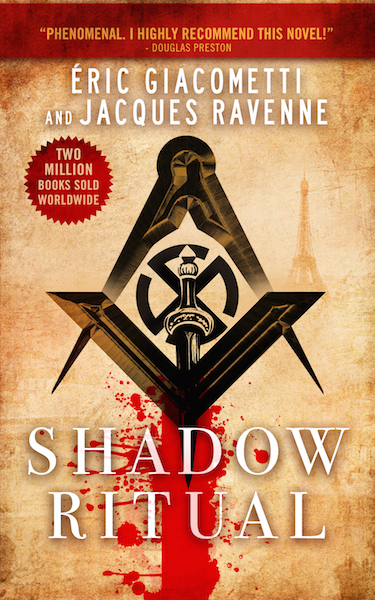 Shadow Ritual by Eric Giacometti and Jacques Ravenne. The series has sold over 2 million copies worldwide. Douglas Preston calls it “Phenomenal.” Shadow Ritual has ritual murders, ancient enemies and a powerful secret, making an electrifying thriller about the rise of extremism. Founded in 2011, Le French Book is an independent book publisher focused on bringing France’s best mysteries and thrillers and other stories to new readers across the English-speaking world. For more information, please visit: http://www.lefrenchbook.com. "A few deaths, lost objects and a whole collection of worrisome characters...Ideal for a moment of relaxation."